Race drivers not only get to put their name on the cars they roar around the track in, but the limited few that decide to develop a car for the public to enjoy and want to put their names on them want these cars to be something special. One particular racing legend has put a car together that now offers us the car of his dreams which is exactly what you’d like to have on the track to enjoy the impressive performance and style offered by this exciting new car that will be offered in limited quantities. The legendary driver that created this new car is Emerson Fittipaldi who is a two-time Indianapolis 500 champion and one of the most famous racers in the world. With the partnership of Pininfarina and HWA AG this new car has been built and made its way to the Geneva Motor Show to give us a great look at the new car. This new car is called the EF7 which is a car that Emerson hopes will be the one that will give those who own one the feeling he used to get when he would drive on the track. The car itself is beautifully designed but not overdone. This is a car that is absolutely gorgeous and appears to be one that might have been built by Ferrari. There’s nothing extra about this car that can’t be enjoyed for the function and features offered. The idea is to have one of the most impressive cars on the road that can be offered for the public to enjoy. For those who do purchase the EF7 there will be racing instructions given by Fittipaldi himself to help everyone who has one of these new EF7 models the ability to learn how to race one of these beautiful cars. 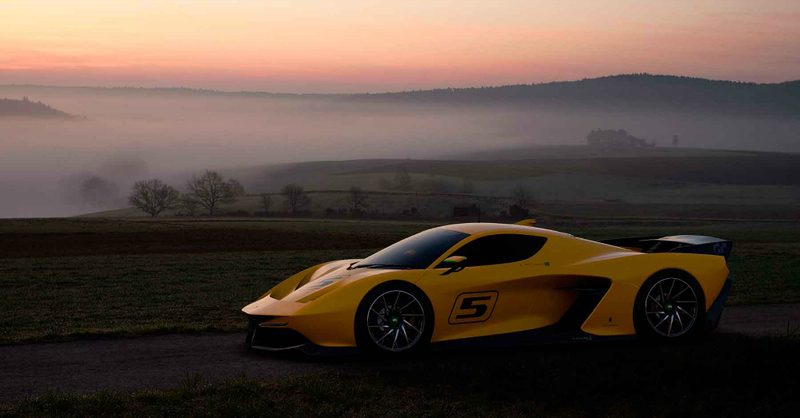 The power for the EF7 will be a strong 4.8-liter V8 engine that will produce 600 horsepower at 9,000 rpm. This engine is mated to a six-speed transmission that’s been sourced from Hewland which is the same company that makes gearboxes for F1 cars. This car will only weigh in at around 2,200 pounds and it will use a race spec suspension that’s a double wishbone build, adjustable anti-roll bars, carbon fiber brakes, a diffuser and an integrated and adjustable rear wing. This gives you a car that has plenty of performance items that can be enjoyed when this car is on the track. For those of us who won’t be able to purchase the EF7 there will be a new EF7 Vision Gran Turismo model that will be enjoyed in the Gran Turismo Sport game for PlayStation 4. This is the first entry for Pininfarina into the FIA Gran Turismo Championships as well, giving us an impressive and interesting car to discuss, especially if you’re playing the video game with your friends. This is easily one of the most impressive ways for the racing legend to be able to show off the success he’s had and offer us a great car that we can learn to race as well.